Personal Care Assistance is a program where the client is provided with direct care and attention at home. 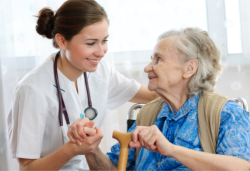 For persons who need help with day-to-day activities, Absolute Care Staffing Health Agency offers the assistance of a personal care attendant or personal care assistant who is trained to help you with basic daily living activities. This also allows you to be more independent in your home instead of being admitted into a skilled nursing facility or a senior care home. In your own residence, you have better control of your health management. Furthermore, you can preserve the level of privacy and comfort you want to maintain.